Personal navigation has come a long way in just a few short years. Not too long ago, in-car GPS units could only be found in high-end luxury rigs, and even then directions and map information weren’t exactly spot on. 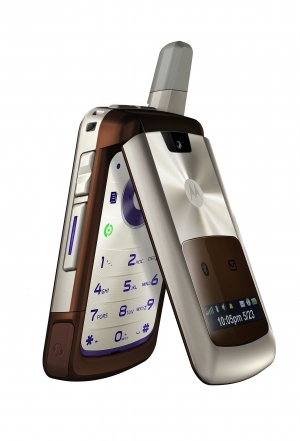 Over time, the tech has improved and the price has fallen to accommodate just about everyone. These days, excellent in-car units can be had for as little as $200, but that’s still a chunk of change if you don’t plan on using your GPS unit every day. What if you just need directions occasionally? Maybe you don’t want a bulky unit stuck to your windshield or simply need a quick hint to point you in the right direction. If that’s the case, you might be better off opting out of the standard in-car GPS unit and going for a phone-based navigation application. Nearly every carrier offers some sort of nav app with their phones. For the pay-as-you-go crowd, Boost Mobile has rolled out one such application called Boost Navigator. The system isn’t perfect, but its affordable option with plenty to offer. 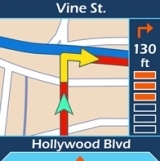 Boost Navigator is available as a download for any Boost Mobile phone – so long as the unit is GPS and Java capable, meaning there’s no expensive initial hardware to purchase outside of the handset. If you know where your phone is and have service, you’ve always got directions handy. While this is a big bonus, the program’s functionality can be hampered by things like the size of your phone’s screen. The good news is that even with the smallest of screens, the app dishes up uncomplicated directions. There are other issues, too, but we’ll get to those later. 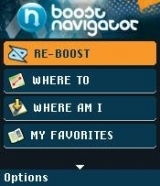 With the Boost Navigator app on your phone, you have four options to choose from. Your first option will show you how to get to the closest Re-Boost store, meaning you can always find your way to a location to add more minutes to your plan, pick up a new phone or answer any questions you may have. That may not seem like much, but if you’re low on minutes, the feature saves you the hassle of having to get online to find your closest location. While directions to the nearest Re-Boost location are free, other navigations aren’t. That doesn’t mean Navigator costs an arm and a leg. You can pick between a one-day, one-week or one-month plan. Picking up the daily plan will set you back a whopping $2/day, and a full month will set you back $10 for 30 days. A three-month option is available for $25.00. There’s even a section that details how long you have left on your account, so there’s no worry about over paying or guessing as to when your GPS service will stop. It’s true that picking up three months worth of Navigator service will save you cash over the day-by-day option, but oddly enough your savings actually decrease the higher you go on the price scale. That means the 30 day package is actually your best deal. While that may seem mathematically screwy, it fits pretty squarely with Boost’s prepaid crowd. Just under the Re-Boost option is the “Where Toâ€ section. From here, you can get directions to any address. The app also allows you to search for businesses near you by name and can show your location on a map. Just like more pricey GPS units, you can get directions based on the fastest or the shortest route, and you can tell Navigator to avoid tolls, ferries or highways. You can even switch your distance units between miles and kilometers – all pretty advanced features for such a low-cost product. That’s not to say there aren’t issues, though. The program can be slow when searching for locations or digging up directions and GPS navigation is dependent on cell reception. Unfortunately, Boost is somewhat notorious for not providing the greatest coverage in the world, which means if you’re lost and out of the coverage area, odds are you’re going to stay that way. Boost also has a reputation for lackluster tech support and customer service, though we didn’t have any issues with our unit that warranted getting on the horn with central. By and large, Boost Navigator is handy for getting around on foot, though if you plan on using it for driving directions, you better have a co-pilot to relay the information. The small-ish screen of most Boost phones and hard-to-read street names are accidents waiting to happen if you’re behind the wheel. Boost Mobile doesn’t currently have any plans to make Navigator anymore car-friendly, and we get why: The app isn’t meant to take the place of more expensive GPS units. Instead, it offers a hand if you’re in a pinch and can’t find your way. While coverage may not be the best, Navigator lights the way for considerably less than any windshield-mounted unit out there.